Every now and then an industry undergoes a paradigm shift, thanks to a new technology perhaps, a new consumer or a new attitude. The Swiss watch industry is seeing that now - with the birth of a culture of original ideas and independent watchmakers, of which Ressence is part. The new Type 1 V Genesis is the first time the young, innovative company has ever looked back - it's an edition of just five pieces to celebrate Ressence's fifth birthday. That might seem overly self-confident, even for a dynamic horological start-up with an attitude more at home in Silicon Valley than La Chaux-de-Fonds. Some, in fact, might say the Genesis hasn't even been finished. And they would be right - the Genesis's exterior components aren't smooth and polished, giving the piece a directness and integrity. It's an expression rather of Ressence's being a work in progress towards a fresh kind of fine watchmaking. Instead, the Genesis's parts are used as they come off the production line, much as Ressence's earliest prototype watches were made - but then those were made by the space industry and not by watch manufacturers. The hands are galvanised to add contrast, but that's all. The barenia calf leather strap is untreated, so will mark and change colour naturally. The case still shows the scars of the milling process. The dial is sandblasted but otherwise left in its raw state - the indices aren’t filled up with Superluminova, bringing too a sense of depth. 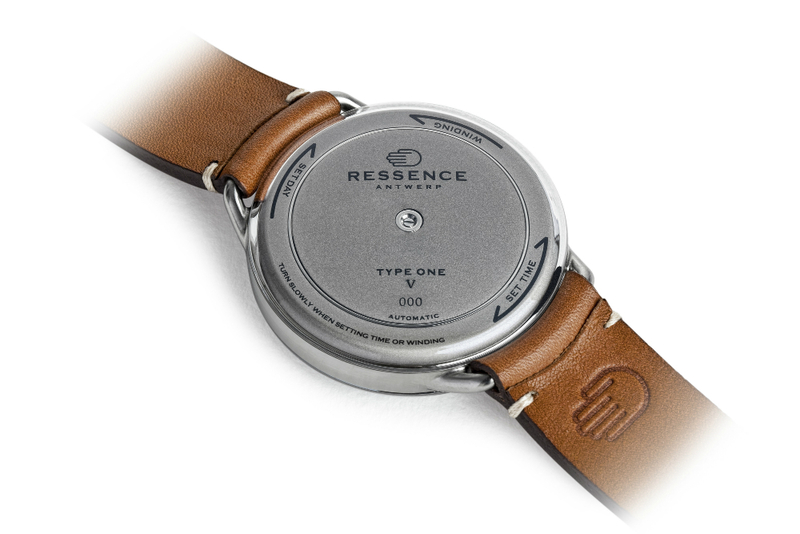 Instead, what really lights up this special Ressence timepiece is the original thinking behind it. Or rather, the re-thinking that comes with a different perspective. As its founder Benoît Mintiens puts it, "I want the watch to be de-materialised, to express time in its purest possible way". The watch has no crown, for example, the winding/setting mechanism being the case-back itself, for better ergonomics and allowing a left-right fit. It is all tactile curves, the domed sapphire glass extending to the very edge of the case - making the watch more sapphire than metal, in fact - the lugs seemingly part of the case too, an organic whole. And that's no illusion - lugs and case are milled in one action from the same grade 5 titanium block. But, most strikingly, and characteristic of Ressence, is the lack of conventional hands. Here the time is displayed via its patented, 107-part Ressence Orbital Convex System (ROCS1) - a complex mechanism driving convex sub-discs that continually revolve, as does the main disc into which they are set, like moons in orbit around a planet. This allows the curved dial to be set closer to the sapphire glass, which gives a sense of immediacy to the look and aids legibility. 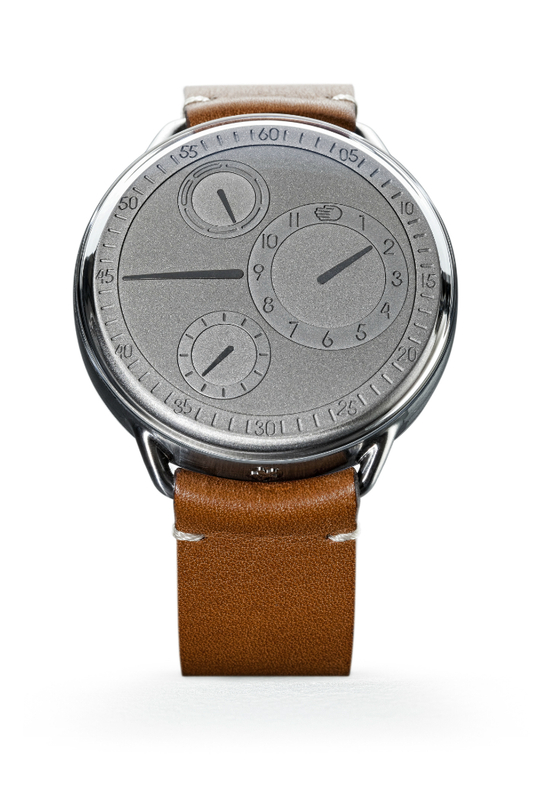 It also means that the watch's uncluttered face is ever-changing - as everything is in time. For all its seeming simplicity, it can transfix. It's all about the experience - not an obsession with little cogs and wheels. Indeed, rather than being proudly displayed, the sophisticated mechanics of the operation are hidden away beneath a smooth surface. But, as with all Ressence does, still waters run deep. Outsiders have the freedom to think differently. Benoît Mintiens may be Belgian, but he is more distanced from traditional Swiss watchmaking than that - primarily by being an industrial designer who designed trains, aircraft cabins, leather goods and even hunting guns before he ever designed a watch. 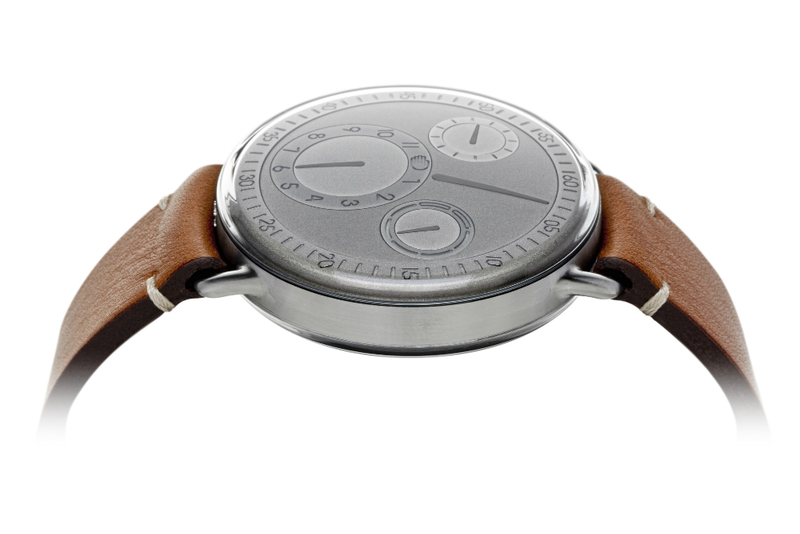 He launched Ressence in 2010, driven by his professional background. Benoît Mintiens puts the emphasis on concrete product creativity rather than on branding. "Industrial designers work from the outside to the inside," he says. "They start in the user's brain to define the specifications of the watch and end up designing the movement as a means and not as goal in itself." But Benoît Mintiens is not a provocateur - he admires fine-watchmaking. 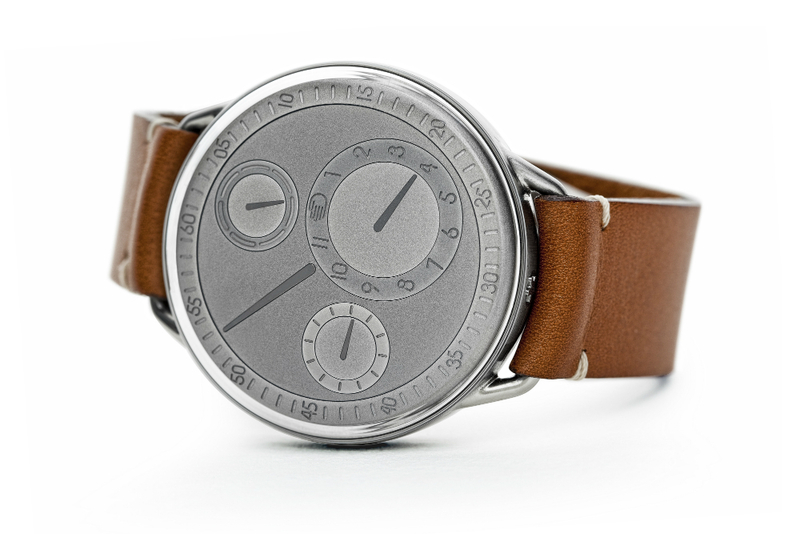 Indeed, while embodying the tenets and skills of Swiss fine watchmaking - watches are designed in Antwerp and made in Switzerland - Ressence’s watches are very much understated without being stark. They are as pure as design should be: functional, not flashy and accessible, both in style and relative price.